Continuing Baur’s special connection with Louisiana and its music – Get ready for another party…with The Revelers. 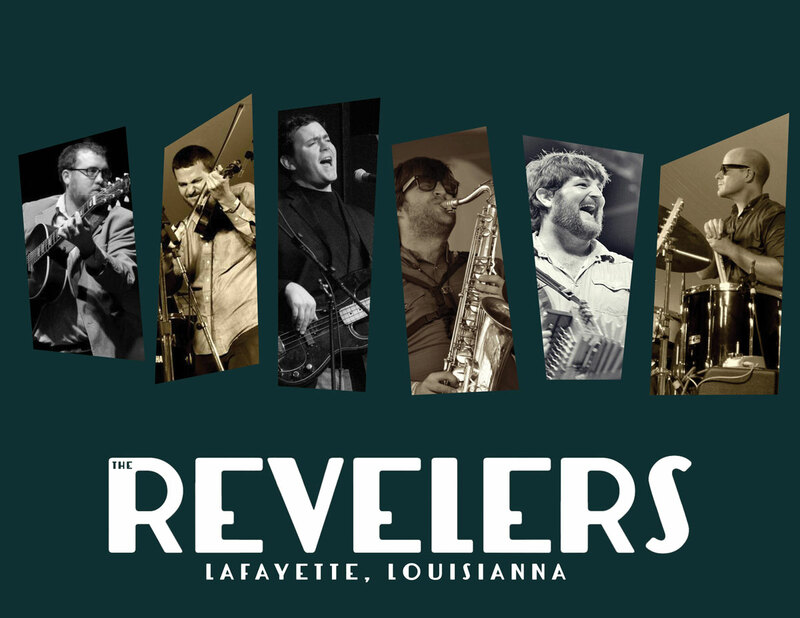 Founding members of the Red Stick Ramblers and the Pine Leaf Boys — described as “two groups at the vanguard of the Louisiana cultural renaissance” – joined together to form the The Revelers in 2010 are a bona fide Louisiana “supergroup”. They are unique in that they play all styles of Cajun, Zydeco, Swamp Pop, and Americana equally well and there is no leader and everyone sings and writes music. The Revelers were started when the ghost of Dewey Balfa came to Blake Miller in a dream and told him he had been chosen to carry the torch. 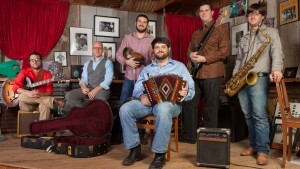 Blake Miller (accordion, fiddle, voice) is currently one of the most prolific composers of original French Cajun music. The very same night, the ghost of C.C. Adcock came to drummer Glenn Fields in a middle of a yoga meditation and told him there was room for another Swamp Pop band on the scene. Prior to that day, Fields had never sung a note, but hence found himself with the voice of a golden crooner. Guitarist Chas Justus, multi-instrumentalist Daniel Coolik and bass player Eric Frey and longtime collaborator Chris Miller who joined the band full-time in January 2013 make up the rest of this incredible band. The Revelers have toured the United States extensively, the UK, Ireland, and Denmark. They are a festival mainstay having played at the Blackpot Festival, Tønder, Shakori Hills, both Rhythm and Roots, Wheatland, Sugar Maple Fest, Festival International de Louisiane, Grey Fox, Clearwater’s Hudson River Revival, the Red Wing Roots Music Festival and countless others. They are also in-demand in the music education scene, having been on staff at Ashokan Fiddle & Dance, Balfa Week, Miles of Music Camp, FiddleTunes, and Blackpot Camp. 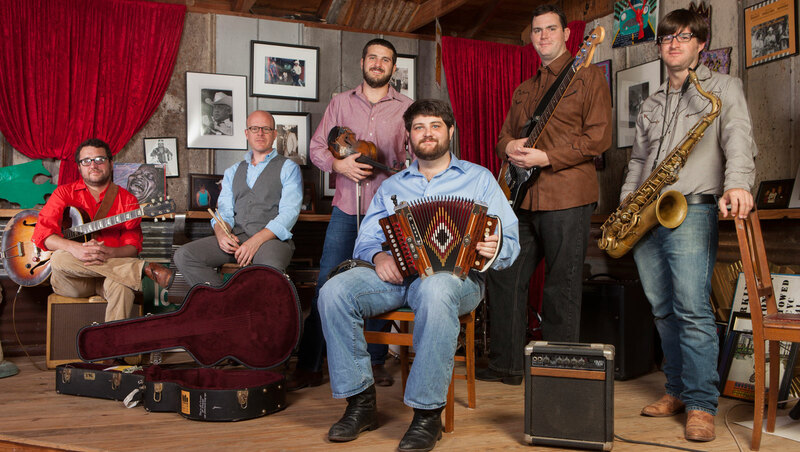 The Revelers have been named “The Best Thing to come out of Louisiana in Recent History” by the Cajun Creole Culture Preservation International. Baur’s is excited to welcome The Revelers in their very first Denver appearance.